Even before adidas&apos; Originals division took over production of its longtime soccer silhouette the Samba, the kicks were being rocked by heads who had never even assisted in a goal. 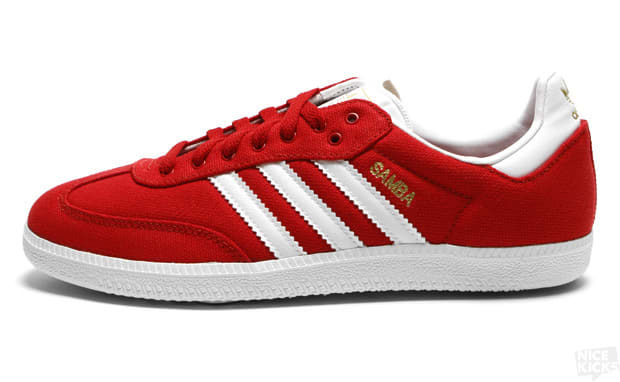 So as the Three Stripes continues to crank out solid schemes, they present this "Light Scarlet/White" variation. The upper is comprised of vibrant red canvas as white leather plays accent to the summer-perfect lows. Gold branding rounds things out for the classic adidas go, and you can head on over to Nice Kicks to snag a pair for $60.